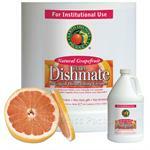 Earth Friendly Products Dishmate Liquid Dishwashing Cleaner is tough on grease but gentle on hands. Made from 100% sustainable, plant-based ingredients including certifed organic essential oils, concentrated Dishmate rinses clean with no soap residue. 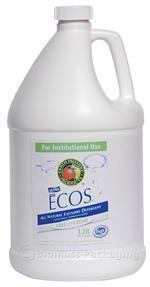 Free of fragrance, fabric softeners and optical brighteners, ECOS Free & Clears ultra-concentrated formula cleans a 25 gallon load with just 1 oz. 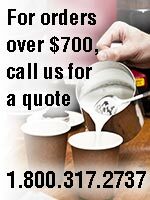 Use in front loaders and high efficiency wash machines. 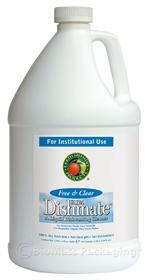 Neutral pH, hypo-allergenic, ideal for microfiber. 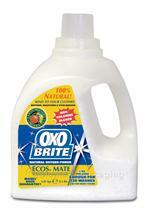 Earth Friendly Products OXO BRITE harnesses the incredible power of oxygen to whiten, brighten and deodorize your laundry and fabrics, effectively removing most organic stains, mold and mildew. 100% natural, color-safe, chlorine-free.